The estate of Drouet was first established in 1848 by Jean L’Homme. Jean was a skilled wine maker and distiller, winning the prestigious diploma ‘Grand Prix d'Eaux-de-Vie’ at the Universal Exhibition in Brussels in 1897. Working on the estate for the L’Homme family were Ulysse and Elina Dumargue – the great grandparents of the current owners. The family continued to work the vines of the estate, and Irène Dumargue and Gabriel Drouet (daughter of Ulysse and Elina and her husband) eventually managed to purchase some neighboring vines. It wasn’t until 1969 that Monique and Gérard Drouet, parents of today’s owners, managed to buy the estate. By dedicating their lives to their vines, the family continued to upgrade everything to do with the wine making process, installing two traditional 10 hl stills and further developing the cognac production process. In 1987, they extended their range to include Pineau des Charentes, as well as expanding their range of cognacs. Today, the team behind Drouet et Fils Cognac is still very family orientated. 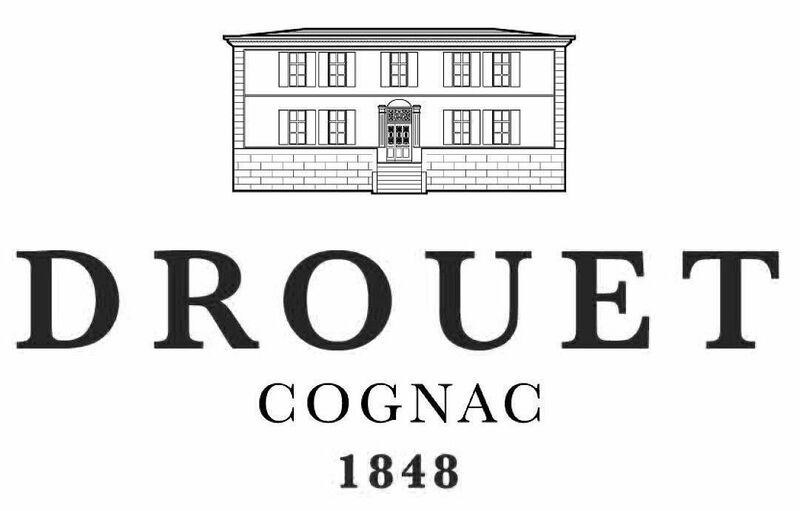 The cognac house is headed by Patrick Drouet, who is ably assisted by other members of the family, including his father Gerard, who still oversees and keeps an experienced watch over the family business. However, Patrick also understands that by necessity the team spirit has to extend further than blood ties. So, much as the bonds that kept his great-grandparents lovingly tending the vines back in the mid-1800s, the small team that work on today’s estate are also bonded, even if they don’t all share the same blood line. Every aspect of the cognac production is carried out in-house. From the grapes to the bottle, nothing happens without the say so of the experienced eye of Patrick Drouet. As cellar master he has the last word on all aspects, and it is his four generations of knowledge that go into producing the blends of Cognac Drouet that adorn the shelves of prestigious wine and spirit stores worldwide. In keeping with the high perception of the Drouet brand, the estate also specialize in producing customized bottles for clients. These can be engraved with individual or company names and are used by many businesses as high quality corporate gifts. The cognacs produced by Drouet et Fils cover the complete range. From the Drouet et Fils Trois Etoiles through to their flagship product, Drouet et Fils Paradis de Famille, there is a cognac for all occasions. The Drouet et Fils Paradis de Famille has won many awards for excellence, including the Gold Medal - Concours Général Agricole de Paris category XO in 2007. They also produce a cognac specifically to be enjoyed with your cigar – the Drouet et Fils XO Cigar. The cognacs range in price from around €30 for the Trois Etoiles through to around €130 for a bottle of Drouet et Fils Paradis de Famille. Drouet et Fils also produce a range of Pineau des Charentes. The estate of Cognac Drouet et Fils welcomes visitors for a tour and tasting of cognac and pineau. It’s open all year round – weekdays from 09:00 to 12:00 and 14:00 to 18:00. If you’d like to visit at the weekend then ring first for an appointment.